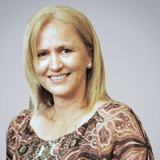 Dr. Cornelia Dadaciu has been helping people smile since she earned her Doctor of Dental Medicine degree from Nova Southeastern University in 2003. She provides comprehensive family dental services to adults, teenagers, and children as young as eight years old. She is fluent in English and Romanian. Dr. Dadaciu and her friendly team provide dental exams and teeth cleanings, teeth whitening and other cosmetic dental procedures, emergency dental care, and restorative services such as fillings, crowns, bridges, dentures, and dental implant restorations. She also provides mouthguards and nightguards, extractions, oral cancer screenings, and root canal therapy. Call today to make an appointment!